"A town so dazzling it's as though it's been scrubbed with salty water and dried in the bleaching sun." 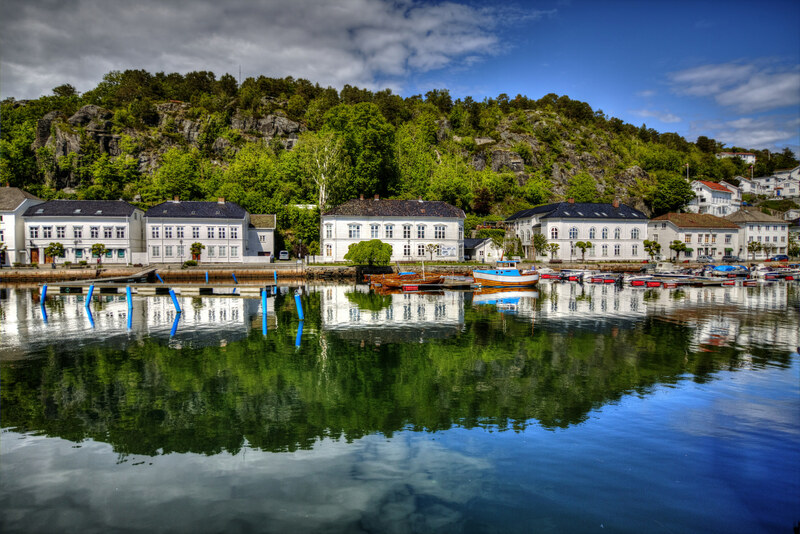 Risør is often called "Trehusbyen" or The Wooden House Town because of its beautiful white wooden houses that remain largely unchanged since the 1800s. This is one of Europe's best preserved wooden towns, and wandering through the charming small streets it is easy to forget you are living in the 21st century. Indeed the cares of the world seem, well, a world away. This stretch of Norway's long coastline is often referred to as "The Norwegian Riviera" due to the warmer summer climate, excellent bathing, and the thousands upon thousands of boats that appear during the summer months! 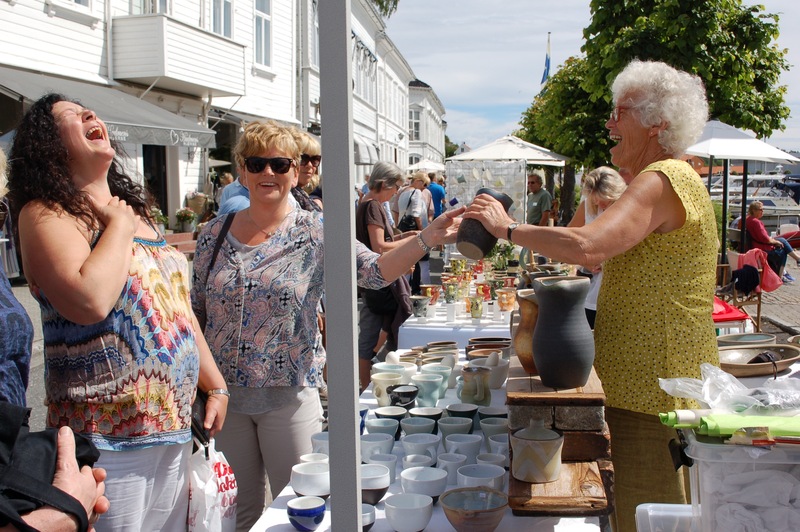 It is the sunniest part of Norway and popular with Norwegians who revel in the long summer days - it doesn't get properly dark at night in mid-summer. 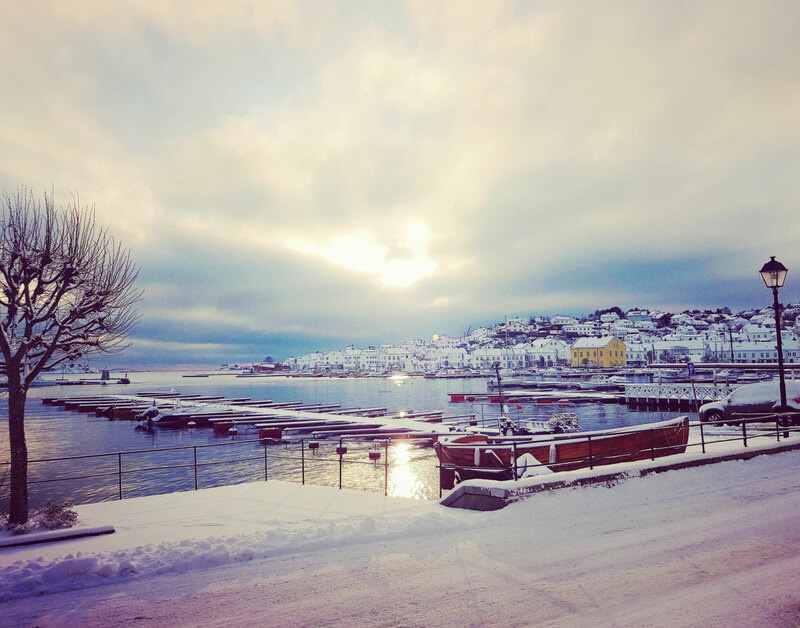 If the summer days in Risør are long and sunny and filled with boats, barbeques and ice creams, the winter days have a different attraction. Short days, and a wonderful stillness, and when snow comes in January the town is transformed into a winter wonderland with ice on the south fjord (perfect for ice fishing and cross country skiing) and stunning sunrises and sunsets. 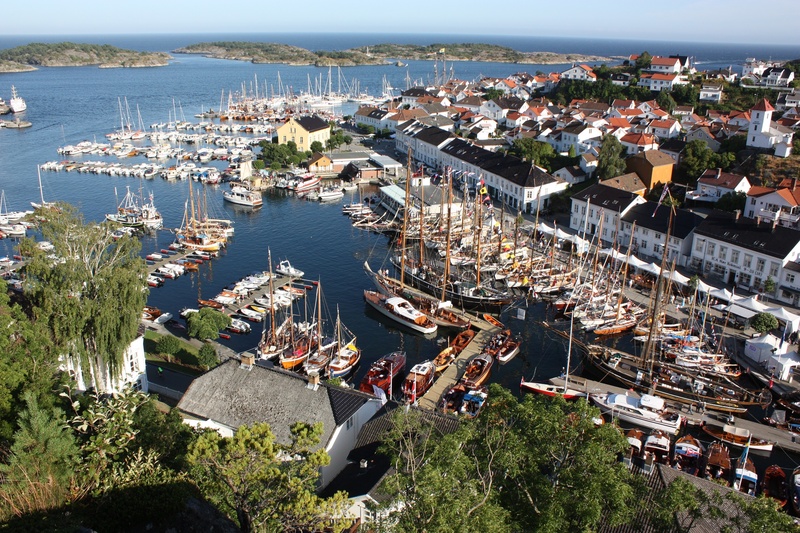 Risør became prosperous in the sailing-ship era and was one of Norway's most important ports - incredible for such a small town. Locally there were dozens of boatbuilders, building wooden ships of all sizes and many local families became very wealthy and built the houses that are so well preserved today. It is fascinating to stay in your own suite and explore the town centre and imagine that you are home from a long voyage to the other side of the world. Våre suiter er perfekte for en tur sammen med venner, med fra to til åtte sengeplasser. For eksempel, i hagesuitene «Konsulatet» og «Gjestehuset» har man plass til 10 gjester og tilgang til en vakker hage med oppvarmet svømmebasseng og plass for inntil 20 personer rundt spisebordet. Selv om alle suitene har et komplett kjøkken, på jentetur er det kanskje greit å stå over matlaging. Vi kan servere flotte måltider enten i suiten, hagen eller i vår spisesal ved resepsjonen. Menyen skreddersydes etter deres ønsker og lages med de beste lokale råvarer. Vakre Risør sentrum har mange spennende, sjarmerende og unike butikker, inkludert flere dameklær og sko butikker, kunst og håndverk, interiør og antikviteter. Alt finnes innen kort gangavstand fra suitene, med flere utesteder for å ta et glass underveis. Ta avslapping til et helt nytt nivå med massasjebehandling i deres egen suite. Dere kan velge mellom forskjellige behandlinger, og på avtalt tidspunkt kommer vår massør til deres suite. Inntil to gjester kan få behandling samtidig. 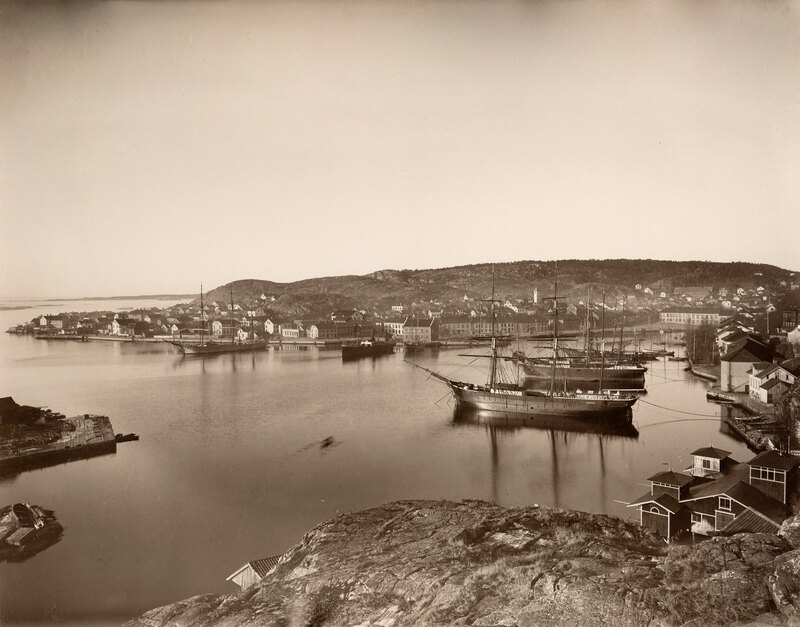 Risør er hjem til flere kjente kunstnere og kunst håndverkere, ikke minst de som grunnla kollektivet «Villvin», og det er mange utstillinger i byen i løpet av året. Vi kan også arrangere atelierbesøk for dere, for eksempel hos Ola Steen, da dere kan få en privat omvisning og høre om historien og prosessen. 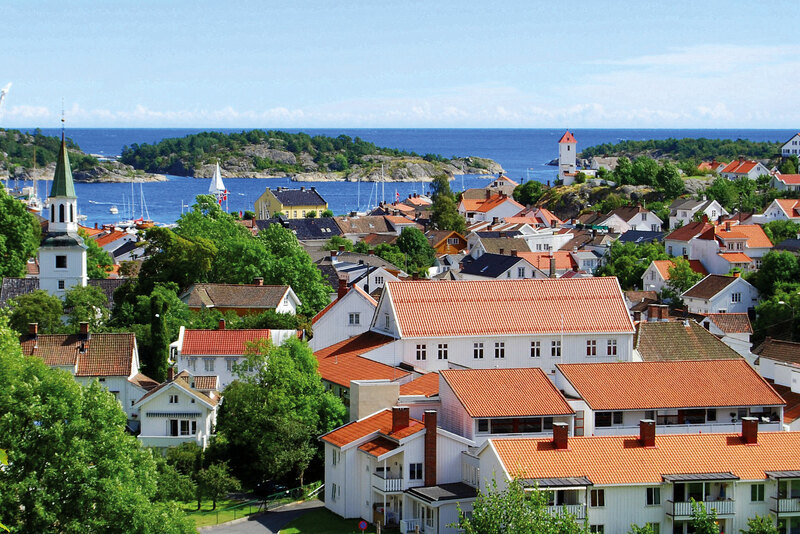 We have 17 suites, each with a unique theme that celebrates Risør's rich seafaring heritage. 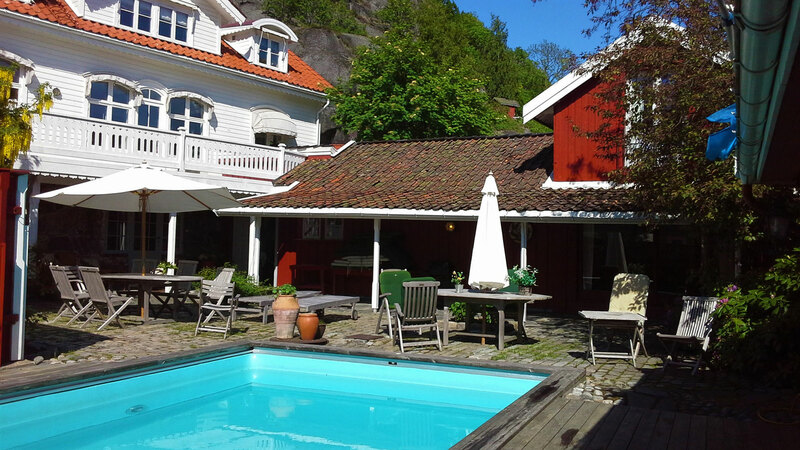 All are located in historic houses in the the old town, 13 in the center and four 900m away by the sea. 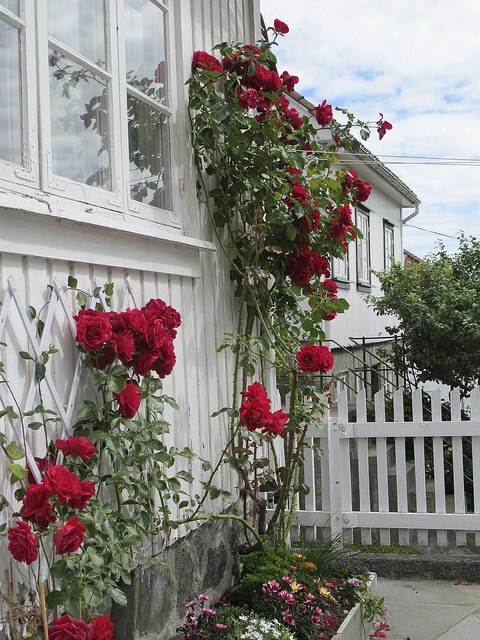 13 of our suites are right in the heart of historic Risør, in charming surroundings. Everything is within walking distance, shops, bars and restaurants, hiking trails, bathing. 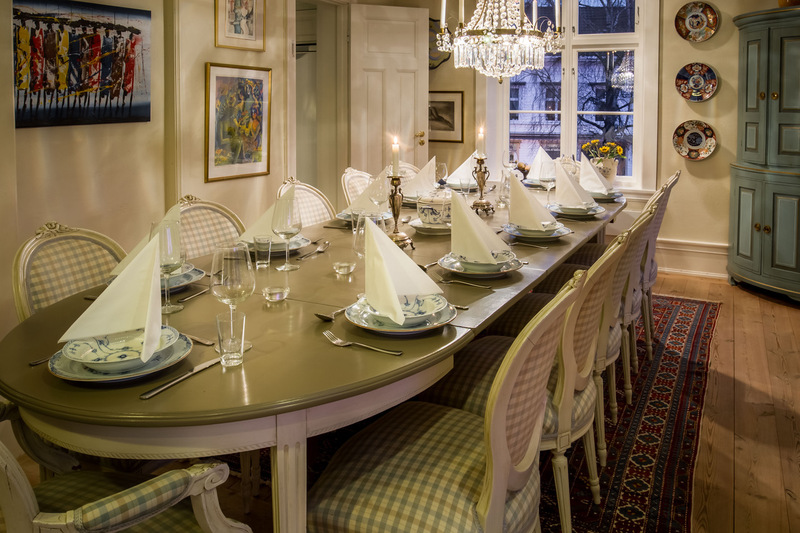 Four suites are located 900m from the town square, by the sea in a quiet neighbourhood called Buvika. This building is very special, built in 1750 and lovingly restored to its former glory. 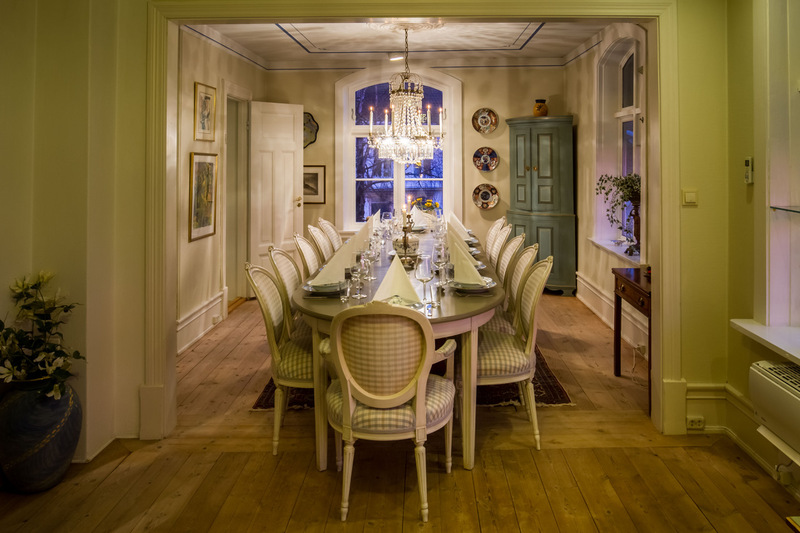 In addition to accommodation we also have several super locations for private dining and parties - perfect if you are celebrating with familiy or friends. We can design a custom menu and create a truly memorable occasion.